With over 1 billion unique visitors to YouTube every month, and 100 hours of video uploaded every minute, it is more important than ever for content marketers, bloggers, and businesses to utilize YouTube effectively. The key to running a successful YouTube channel is quality and visibility. But if you have great content and you aren’t getting the views you want, how can you increase your visibility? As with most content marketing strategies, you have to be willing to adapt. The Internet is in constant flux, and what works today will not always work down the road. Plus, discovering your brand’s specific voice for each medium (in this case, YouTube), takes time. Don’t be afraid to change your approach and experiment with your content. Trial and error is often the best way to find the most effective strategies—even if it means taking some time to get there. Don’t just upload videos willy-nilly: Your content should have a targeted approach. Do market research to understand your target audience. Find out what kind of content your demographic needs and then set to work producing video that meets that need. The only way to be truly effective in any marketing campaign is to identify market niches and fill them. If you aren’t providing added quality or value to someone, they aren’t going to stick around for very long. Give them a reason to stay by publishing content that is quality and useful. YouTube is owned by Google, so it should come as no surprise that optimizing your content for search is an important factor in building a successful channel. According to YouTube, over 100 hours of video are uploaded every minute. And according to Cisco, global online video traffic will reach 69 percent of all consumer Internet traffic by 2017. That is a lot of potential viewers for your channel. And one of the best ways to get noticed, out of the billions of videos available, is to optimize your content. Add titles, descriptions, and tags. This will increase your videos’ searchability and improve your rankings on the SERPs. 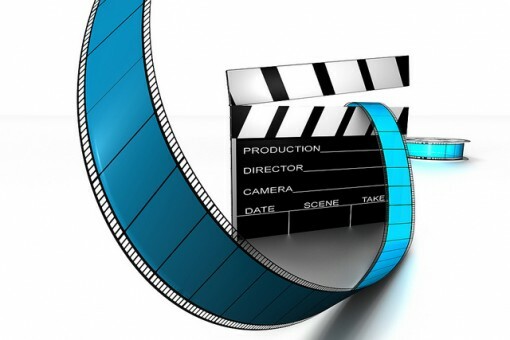 To produce the best video, use high quality stock footage and professional editing software. (See this post for tips on choosing the right footage for your video). Additionally, build your following through social sharing. Encourage viewers to “Like,” comment, and share your content through social media outlets like Facebook, Twitter, and Pinterest. Google pays attention to social activity now more than ever, so don’t disregard the power of the share. Like elementary school, there are points for participation. Part of building that social following is engaging with others on YouTube. Get involved in the conversation. Connect with other YouTube channels and subscribers by commenting on their content, sharing their videos, and reaching out through other tools like Twitter and Pinterest. In the world of social media, you have to give if you want to receive. Engage with others and they will engage with you. Social media is a contact sport: So get out there and participate. YouTube is its own medium. While publishing video from your brand’s television commercials can be useful, do not limit your channel to being a holding place for old content. To attract regular viewers you need to offer content that is unique and entertaining. They will keep coming back if you post videos that are geared specifically to them, rather than “made-for-TV” marketing pushes. YouTube gives you the opportunity to go above and beyond traditional marketing campaigns; you can tailor your content specifically to your audiences and be creative in ways that you can’t on a more limited medium like television. Also keep in mind that 40 percent of these viewers will be watching your content from mobile devices like smartphones and tablets. Be sure that your content caters to these audiences as well as the traditional desktop and laptop users. YouTube is a powerful tool. Whether you are a small business or a large company, developing an effective YouTube channel will pay off big dividends. Apply the principles mentioned above and your videos will get the exposure and support you need. Jake Magleby has written extensively about effective marketing, sales, and financing strategies to help small business owners succeed in the fast-paced and ever-changing business world. For more video resources, visit Stock Footage Inc.